Our Litigation section represents clients in complex Commercial, Contract, Intellectual Property, Real Estate, Personal Injury, Employment, Family Law, Property Damage and Estate/Probate matters. We work closely with our clients from initial fact finding throughout the entire litigation process. We provide aggressive representation in appropriate state and federal courts to protect the interest of our clients. 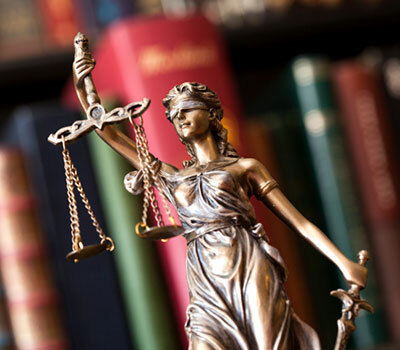 Our attorneys also carefully consider every commercially reasonable option to amicably settle disputes, including mediation and arbitration, in order to save time and expense and to preserve the relationship between parties. Many of our clients have never been involved in litigation and we carefully guide our clients through the litigation process in an attempt to maximize recovery and minimize expense. Fact gathering, budgeting and assessment of available courses of action. Assessment of available forums, both judicial and non-judicial, including mediation and arbitration. Review and research of applicable claims and defenses, and legal theories to support actions to be taken. Participation in mediation and arbitration proceedings. Implementation of litigation strategies through the discovery process and ultimate trial of the matter. Unanimous jury verdict awarding damages for plaintiff against City of Houston for property damage. Successful defense of claim by dissident former employee and purported shareholder related to alleged minority stock ownership position following $42 million sale of company. Defense of $2.2 million claims against a real estate developer in connection with contract rights over sale of home sites to homebuilders, including issues related to specific performance and fraud. Prosecution of a case against a prominent trucking company for damages resulting from 7,600 gallons of diesel fuel having been spilled on client's office building premises. Recovery of settlement for an electrical power plant owner in a construction delay damages case. Early, complete dismissal on jurisdictional ground of multiple clients in claims arising from the provision of computer consulting services. Successful recovery of judgment for specific performance of an option to purchase real property. Obtained favorable settlement of patent infringement suit and license fee payments for portable security system manufacturer. Obtained favorable settlement for hard disk drive manufacturers accused of patent infringement. Obtained favorable settlement for sculptor whose work was copied, which included alteration of accused of copyright infringement. Obtained favorable settlement for restaurant in trademark dispute with restaurant using same name. Obtained favorable settlement of trade secret and covenant not to compete lawsuit against oilfield startup.